Last year I used this site to learn what I had digging and flying about my yard..Cicada Killers! 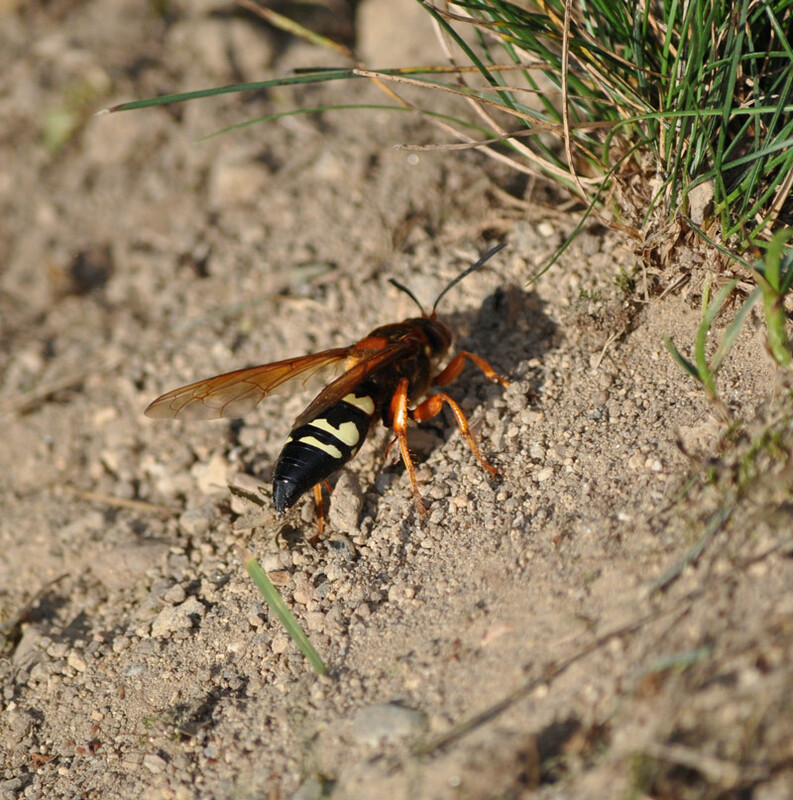 Well, last year I had 1 burrow/nest/den...this year I have 6 burrows/nests/dens and all sorts of these cicada killers flying about...very wild indeed! The most wasps seen flying at once is 4, appears they all use seperate burrows. Hi, thanks for the update. Don't be surprised if next year you have even more. Its ok though, these wasps are harmless. That is how it started at my house, the next year we had 10 or so flying around. Now we have 40 or more. They like short or no grass and sandy bare patches.